XML is a worldwide language for data on the Web that lets developers deliver content from a large variety of applications to the desktop. XML promises to standardize the way information is searched for, exchanged, adaptively presented, and personalized. • XML shall be straightforwardly usable over the Internet. • XML shall support a large variety of applications. • XML shall be compatible with SGML. • It shall be easy to write programs, which course XML documents. • The number of optional features in XML is to be kept to the absolute minimum, ideally zero. • XML documents should be human-legible and reasonably clear. • The XML design must be prepared quickly. • The design of XML shall be formal and concise. • XML documents shall be easy to make. XML is now a standard for data exchange, so you may need to pass your data on to others as XML or take XML as input. There are benefits over many competing technologies. It is necessary technology for anyone looking for more efficient and cost effective ways of both managing and transferring data. 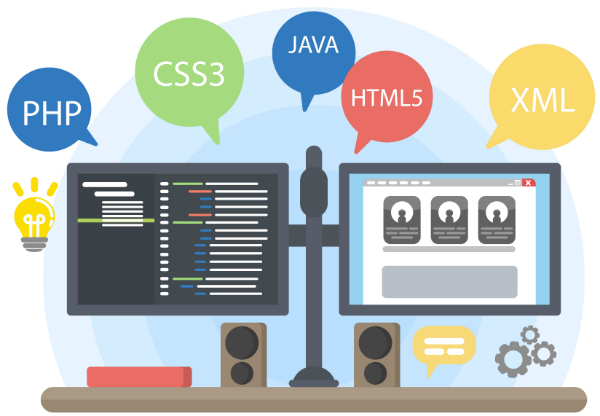 Hiring devoted programmers on full-time basis is highly advisable as he will follow your instructions and work solely for you during all his contract period under your direct supervision.